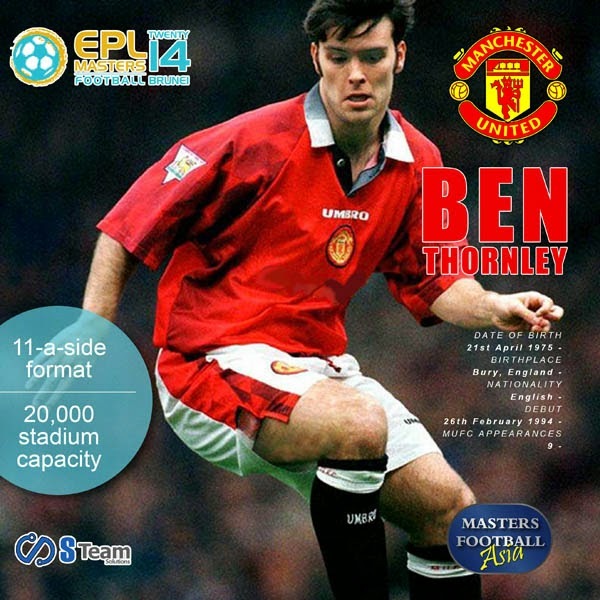 BEN THORNLEY is most widely known for his career as a youth and reserve team player at Manchester United. He played in the left wing position and he is COMING BACK here in BRUNEI playing the EPL Masters Football event on 27 September. You may look for the ticket outlet at S-Team Solutions office at BT Complex just exactly opposite Times Square in Berakas.